Autumn takes on many shades and colors in Rocky Mountain National Park. Everybody loves photographing and viewing the beautiful aspen tree stands when they are adorned in gold but there are also more subtle signs of fall if one takes the time to look. 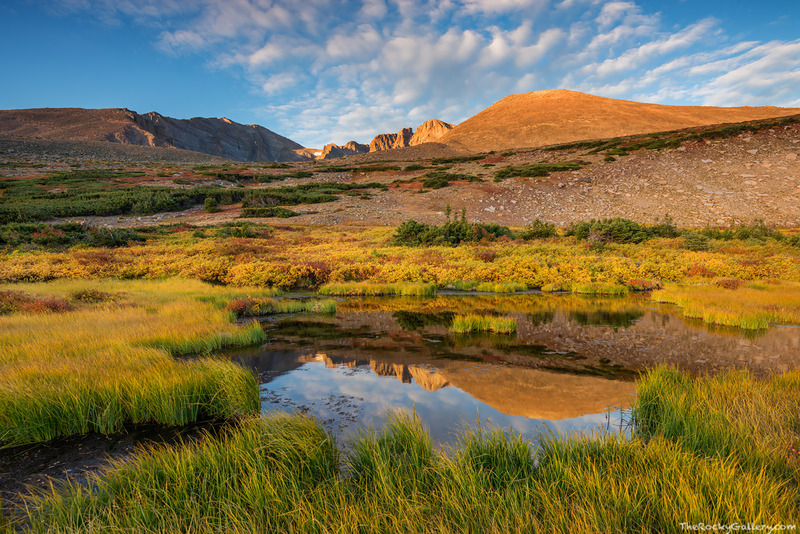 The alpine tundra at treeline is beautiful during the fall. Just below Longs Peak, Rocky Mountain National Park's highest peak, the grasses and foilage are showing off their autumn splendor on a peaceful and calm morning. Photo © copyright by Thomas Mangan.